The Sarod Book is finally ready, after many months of writing, editing proof reading etc. I believe this may be the first step by step book on how to play the sarod. With full HD video demonstrations of each of the key concepts, the sarod book provides a practical guide to those wanting a detailed operational handbook on how to play the instrument. It is specifically written in plain English, avoiding jargon and focusses on the task of playing the sarod. It doesn’t waste time in talking about concepts which are of interest from a theoretical point of view, such as Gharana specific treatments of ragas etc. The approach followed in the book is simple. After a basic review of core topics of scales, notations and rhythm, we take up a simple, elegant composition. Once that’s covered, we move on to a bigger performance and so on. The idea is to achieve a quick win first, to give us confidence to move on. I’ve put in practical tips from my own personal experience wherever possible. A limited preview of the book is shown below. The book can be purchased from me for $89.95 USD, payable via Paypal, which will provide the reader with an electronic PDF copy, and access to the HD video library where they can observe the video tutorials. I will continually update the book based on feedback from readers and also add to the video library and readers will be able to get all the latest updates. The sample HD video will be available here shortly. In addition, I’ll gladly answer any operational question that the reader may have related to the book. Upon successful payment, you will be be able to download a PDF document which contains the download links to the PDF Sarod Book (55MB) as well as a link to download the accompanying videos (450MB) referenced in the book. Option 2: Make a payment of USD 89.95 via Paypal directly to info.com.au and I will email you the download links. i bought my first sarod in 2003 and helped a friend to organize a concert with ali akbar kahn in trier in the basilika. At this time a played on the sarod every day a took lessons from my friend how played on the sarod for 2 years. after 2 years the contact broke down and i only studied with my books. The last 2 years i did not play very much, only sometime because i had some issues with my sarod. Today i get a new one (musikraft) an i appricate to play on it. Know i am searching for a teacher, teaching matieral new sarod-rags etc… are you able to help me? Yes, guruji, I want a book copy. I would be greatful for a copy – your recordings sound awesome. Carlos, I tried emailing you but your mail bounces back. Please send me some other email address that I can use to contact you. Guruji i want a copy of your book. Thank you for creating a book on sarod. I just purchased my first sarod and am a complete beginner in search for a teacher who may wish to teach mostly via skype. I’d like to buy a copy of this book please. I’ve just started learning. I’m happy to pay by credit card or paypal. I am very interested in purchasing your book and learning to play my new sarod. I would like to purchase your sarod book. Please contact me, I am in the US. Nice to know that you have written a book and have videos on the internet, I would Like to purchase your book . Could you please let me have your account no , etc so that I can pay you via Pay Pal. You have doing an excellent job as nothing has ever been produced for the Sarod. Is your book available in india. Please do let me know. Hello Avinash, the book is only available in electronic form via my site. I tried getting Amazon,iBooks etc but it was too much hassle to get the video library in it. I wanted to buy this book. Please do let me know the payment details and the method of payment. I only have about1.5 yrs of experience in learning sarod. Would this book help me as a self learning guide ? Please feel free to offer your advice on the use and intended audience for this book. I am putting up in India. Is it possible to have your book here? It would be really good if I can have your book along with cd of the videos that are in the book. Hello Gurjeet- the book is electronic (in PDF format) which can be downloaded and printed. The videos can also be downloaded and printed too. I have had a few copies purchased by people in India. I am an amature sarode player. Just went through the basic copy of the book and must say it truely makes me interested, so wanna buy your book. Please lemme know the procedure to have it in detail. Nice to come across your website. I’m interested to order a copy of your book. Please send me your details on the ordering process. Thank you. Where is the book ? We want the book !!! I’m interested in purchasing your book; would you please let me know how I can do so? HELLO SIR. I WANT TO BUY UR BOOK. PLS TELL ME HOW. SOON PLEASE. I bought the sarod book some time back. I was not able to download any of the videos. Please let me know how to access. I study Sarod in Marseille (France) with Sudeshna Battacharya, from Calcutta. She now lives in Norway, and I have lessons only each month. How can I buy a tool to catch “chicari” strings when I want to change them ? Please, it would be grezt to read from you. Good evening, and good Sarod ! I would like to order your sarod book. Thank you so much for writing it. I have been looking for a book like this for many years. I first started playing sarod in 1978. I studied with a student of Ali Akbar Khan for a few years. In 1981 I went to Kolkata and picked up a Hemen sarod from Mr. Hemen at his shop. I am very much interested in serious study again. I am interested to purchase this book. Please let me know the Paypal details. is the book available now? hey, how do I purchase the book? price & quality are good? Please, don’t buy from any Site they will deliver fake things. Feel free to drop me a note if keen on buying one and I am not a Third party, but a Sarod learner like you. I would like to purchase the book. Please send me details. I am interested too like many others. can you please send me a downloadable link and how to pay for it ? The Sarod fascinates me, how can I have your book and videos. I would like to buy your book, can you send me the details. Hi, I haven´t received the details, can you send me please? I would also like to purchase your book. Please send me details. I am living in Mumbai, am planning on purchasing a sarod here, have recently found an instructor, and am very much looking forward to learning all I can about the instrument. I would like to buy your book, can you send me the details?. I tried to find your ID on paypal on your site to send the $89.95 for the book but could not do so. Can you give me the details of how to get the payment so I can get the book and access to the videos? I would like to buy the book but the email on the paypal section is incomplete. I presume the book is still available? Let me know your email and I will send over. 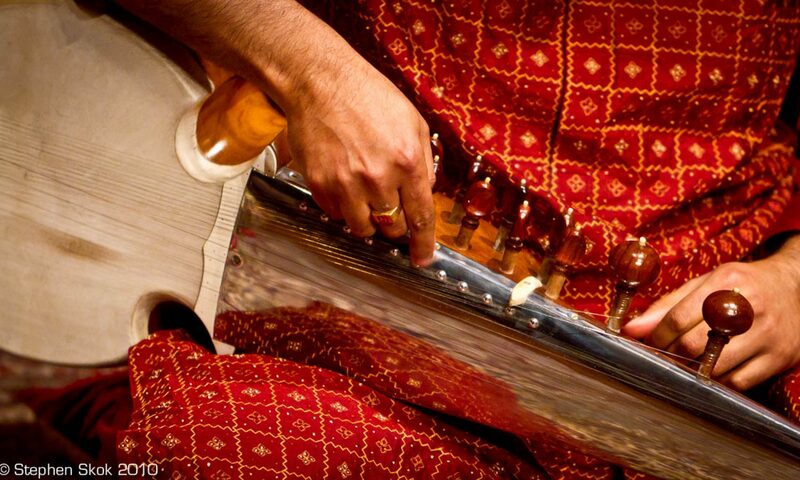 I am Bhaswar Goswami and learning Sarod in Bangalore. First of all, let me start by thanking you for putting across such a wonderful site. I am looking forward to buy the Sarod Book you have written and hence want to know the process of it. Also, would like to know if there is any Low Price Edition available for Indian subcontinent. Hello Bhaswar, if you are already learning sarod, your teacher will show you the way. Nothing like a guru for good learning. I am working on a second book of sarod compositions which I’ll release next year. No plans for a lower priced edition at this stage, sorry !! I am interested to buy the Sarod Book. And I think that the price includes the Videos as well. Can you please, let me know the how can I procure it and the Actual Price in INR ? If you don’t mind , can you share your email Id as well. Correspondence becomes easier. I am interested in your How to Play the Sarod book. I see that the most recent posting to the site was over a year ago, and I’d like to know if it is still available and whether it has been updated. I recently traveled to India, and came home with a sarod. There seems to be plenty of performance video out there, but precious little about the most basic knowledge–tuning and replacing strings, to be exact. Most of this kind of information applies to the Ali Akbar Khan configuration, while my sarod is of the Amjad Ali Khan style. And I live in Korea, where many things foreign (such as sarod teachers) are hard to come by. I am delighted to have found your site which is truly a treasure trove for us beginners learning the Sarod. I wish to purchase the book and get access to the video lessons. What email address should I send the Paypal payment to ?